Variably cloudy with scattered thunderstorms. A few storms may be severe. Low 49F. Winds SW at 15 to 25 mph. Chance of rain 60%..
Variably cloudy with scattered thunderstorms. A few storms may be severe. Low 49F. Winds SW at 15 to 25 mph. Chance of rain 60%. 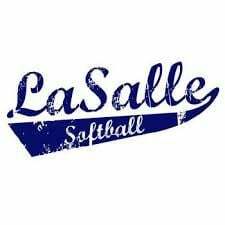 Today’s the last day to register for LaSalle softball without paying an added fee. The cost is 65 dollars for the first child and 50 dollars for each additional player. You can sign up tonight between 5:30 and 7:30 at the Grove Center on 6th Street in LaSalle. If you miss sign-ups tonight, you still can get in on the fun if you register by March 1; the cost increases to 75 dollars from tomorrow to that date.